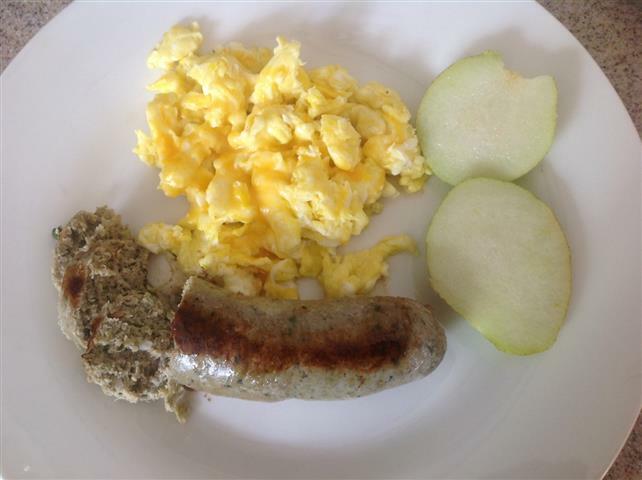 You are here: Home / Food & Recipes / Ideas for Leftover Juicing Pulp: Make Homemade Sausage! 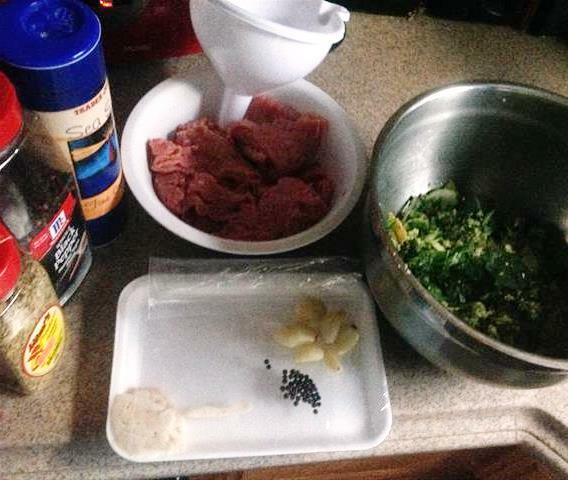 Juicers: learn how to make homemade sausage with leftover juicing pulp. I finally became a juicing convert after watching several food documentaries like “Hungry for Change” and the “Fat, Sick…” series featuring Joe Cross. The idea behind juicing is that when you have nutrients from vegetables and fruits in liquid form, it gets to your bloodstream quicker and starts to repair your cells. It’s like eating the nutritional value of a pound of veggies in one glass. I definitely feel an increased level of energy and mental clarity after juicing for just one month. But one thing always bothers me a bit, and that is having to throw out so much pulp leftover from the juice. It’s high in fiber and should be used somehow. 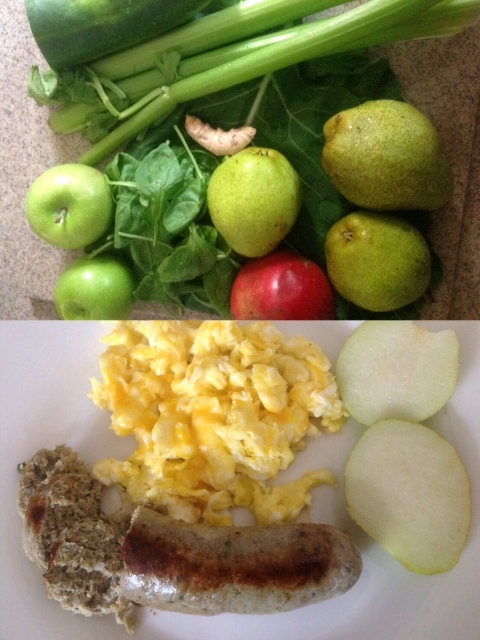 One day as I was making my morning juice, I got the idea to use the pulp to make homemade sausage.The flavors of celery, cucumber, apple, pear and ginger would taste interesting with pork or turkey. It would also make for an even healthier breakfast. So I went on a hunt for supplies and picked up a package of ground turkey and a small package of pork sirloin steaks. I also needed the casing to make the sausage with, and found it at a nearby butcher shop. My friendly neighborhood butcher gave me a few tips for how to make your own sausage using a funnel. So here is the process that I used from beginning to end. 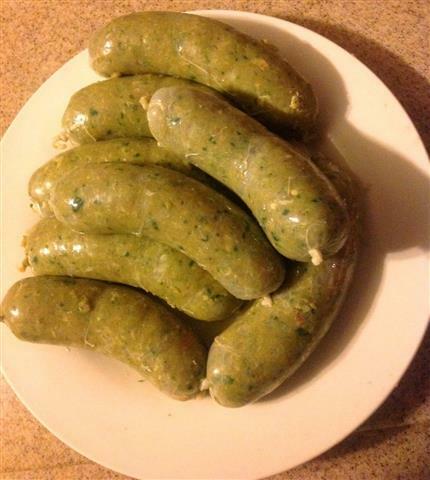 I’ve included a few adjustments that I would recommend that I didn’t do in my first batch to make the sausage more moist (mine came out tasty, but a bit dry). Here is what I normally juice. So the pulp will all end up in my sausage. 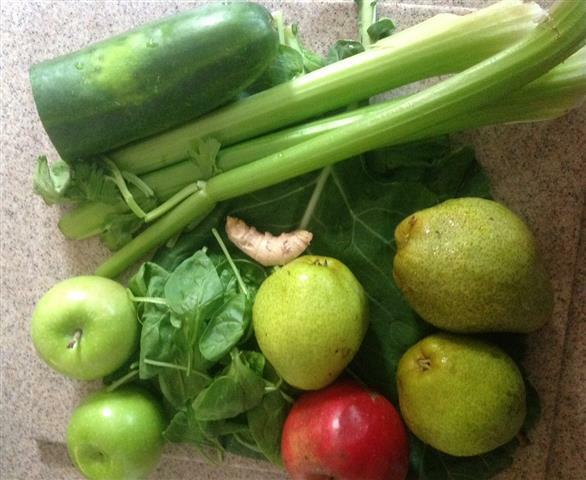 Ginger root, cucumber, celery, pears, apples and greens. I added a bit of spinach this time also. Sort through the juicing pulp and pull out the big pieces that didn’t break down enough in the juicing process. 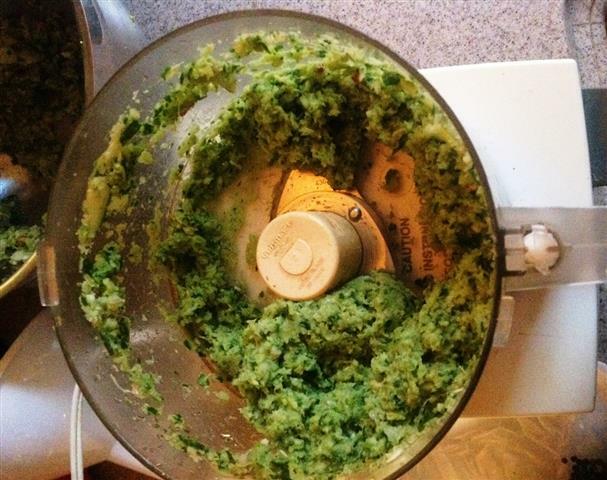 Put them into a food processor along with your garlic cloves and process for about a minute. 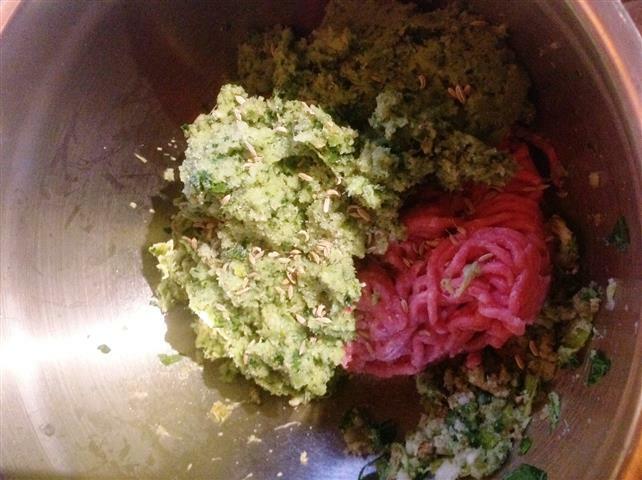 In a large bowl, combine your juicing pulp, the package of ground meat and the mixture from the good processor along with all other ingredients. Mix it all together thoroughly with your fingers. Check the consistency and add more olive oil if needed to make it more moist. 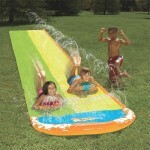 Grab your funnel and attach the open end of the sausage casing to the tube (see picture). Measure off about 8 inches more of the casing and cut it with scissors. 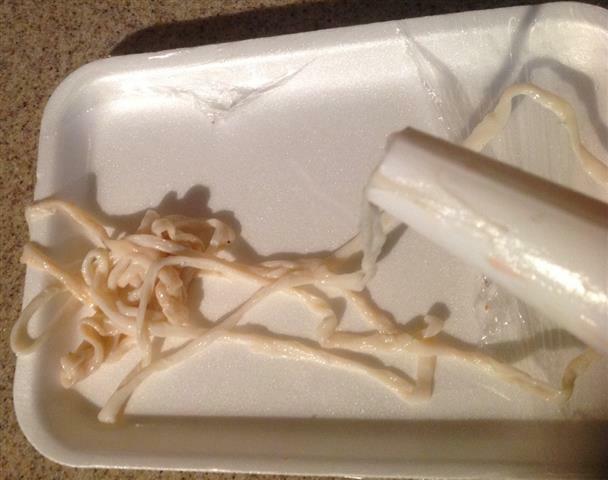 Tie a knot on the other end of the sausage casing. 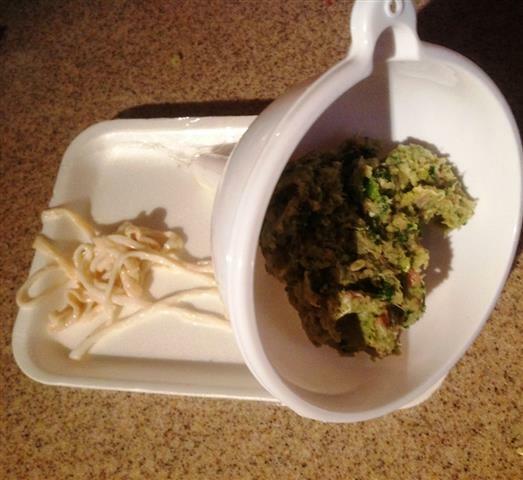 Start stuffing your meat mixture into the open side of the funnel. Use the tips of your finger to push the meat into the casing. When filled, remove it from the funnel and tie the other casing end closed. ** Important tip. Make just ONE sausage first, fry it up, and taste it to ensure that it’s to your liking. If not, adjust the ingredients as needed (salt, oil, etc). 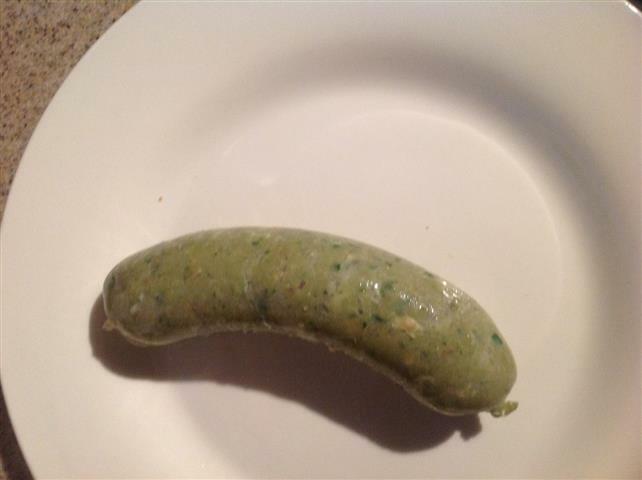 And voila, you have a homemade sausage made with leftover juicing pulp! Enjoy it in the morning with breakfast or add it to an Italian style sauce.